PHP is a server-side scripting language, mainly used for web development but also used as a general-purpose programming language. Object-Oriented Programming (PHP OOP), is a type of programming language principle added to php5, that helps in building complex, reusable web applications. In this blog, we will be explaining some of the Object-Oriented Programming concepts in PHP with some examples. Class is a programmer-defined data type, which includes local methods and local variables. Class is a collection of objects. Object has properties and behaviour. First we have to define a php class, where classname should be same as filename. To create php object we have to use a new operator. Here php object is the object of the Books Class. When class is created, we can create any number of objects to that class. The object is created with the help of new keyword. When the properties and the methods of the parent class are accessed by the child class, we call the concept has inheritance. The child class can inherit the parent method and give own method implementation, this property is called overridden method. When the same method of the parent class is inherited we call as inherited method. Now let us see types of inheritance supported in Object Oriented Programming and corresponding Php inheritance examples. 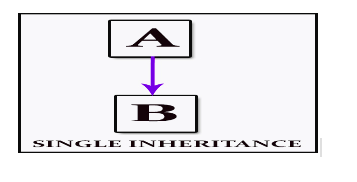 Single Level Inheritance: In Single Level Inheritance the Parent class methods will be extended by the child class. All the methods can be inherited. 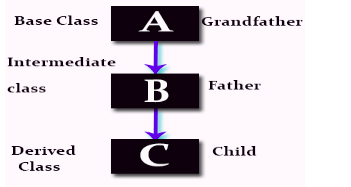 MultiLevel Inheritance : In MultiLevel Inheritance, the parent class method will be inherited by child class and again subclass will inherit the child class method. An interface is a description of the actions that an object can do. Interface is written in the same way as the class the declaration with interface keyword. All methods in the interface must be implemented within a class; failure to do so will result in a fatal error. We cannot define a variable in an interface. If we extend interface all the methods of the interface must be implemented in the child class. An abstract class is a class that contains at least one abstract method. The abstract method is function declaration without anybody and it has the only name of the method and its parameters. Objects cannot be created for the abstract classes. If a class has only one method as abstract, then that class must be an abstract class. The child class which extends an abstract class must define all the methods of the abstract class. If the abstract method is defined as protected in the parent class, the function implementation must be defined as either protected or public, but not private. The signatures of the methods must match, optional parameter given in the child class will not be accepted and error will be shown. Abstract classes that declare all their methods as abstract are not interfaces with different names. One can implement multiple interfaces, but not extend multiple classes (or abstract classes). Now Let us see the difference between abstract class and interface. It can only have constants and methods stubs. The concept of multiple inheritances not supported. An interface can extend or a class can implement multiple other interfaces. Child class must implement all the abstract method of parent class when extend keyword is used. In the end, now we are able to create a class, define objects for the class and create methods. We also learned about different topics of object-oriented like inheritance, interface, abstraction. The basic concepts of OOP is explained in this blog. In the next article, we shall discuss Magic methods in php.